Other photos: at anchor, underwater lights, fly bridge deck, fly bridge helm, fly bridge panel, Photo 6, Photo 7, Photo 8, engine controls at aft deck, salon, salon, Photo 12, Photo 13, Photo 14, Photo 15, Photo 16, Photo 17, Photo 18. 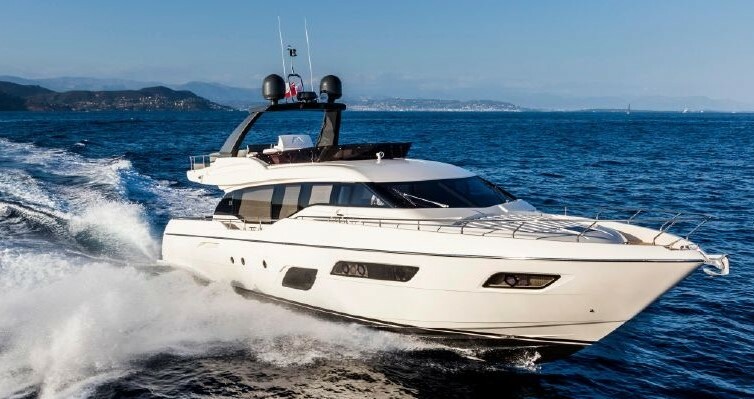 This Ferretti CL 97 is in as new meticulously maintained condition. LOW HOURS ! 5 CABIN VERSION with master cabin on the main deck forward. 4 x ARG zero speed stabilizers. Hard Top over fly bridge. plus second tender garage in front with a crane. SYS Yacht Sales is pleased to assist you in the purchase of this vessel. This boat is centrally listed by Memper Yacht International.